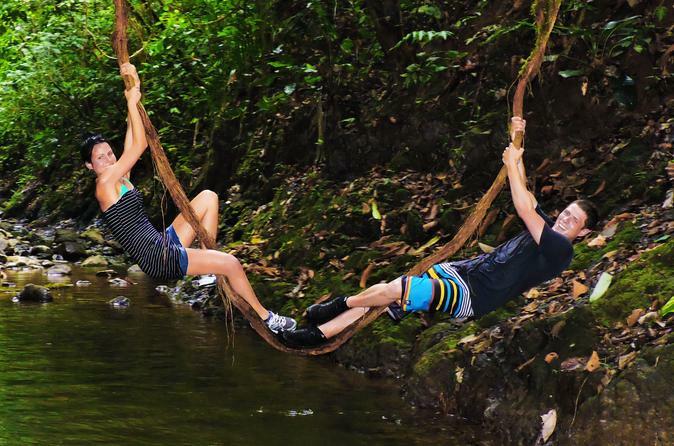 A perfect tour for nature lovers visiting Puntarenas, Costa Rica. 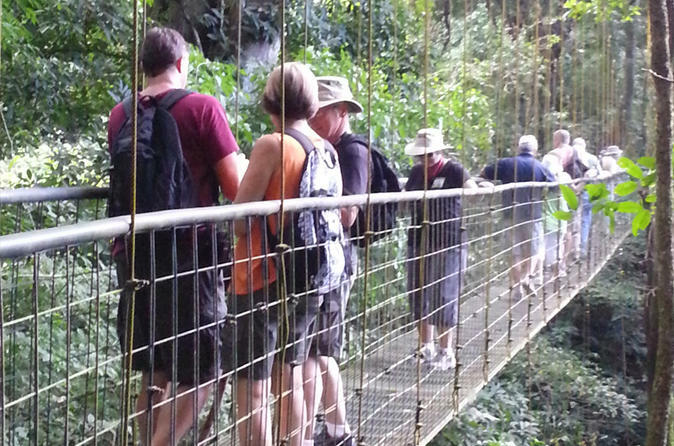 The tour includes a nature walk in the rain forest and the hanging bridges of Villa Lapas Reserve. A beautiful private biological reserve with primarily rain forest. Combined with this expedition, you will be able to see the huge crocodiles living in Tarcoles River during a one hour boat tour. Go on a journey that will definitively make you feel a rush of excitement. In this adrenaline packed escapade, walk along one of the less traveled mountainous paths of Southern Costa Rica where you have a big chance to see the white face and spider monkeys. Get thoroughly soaked after reaching the river and walk down over a rocky uneven terrain looking for poisonous frogs. 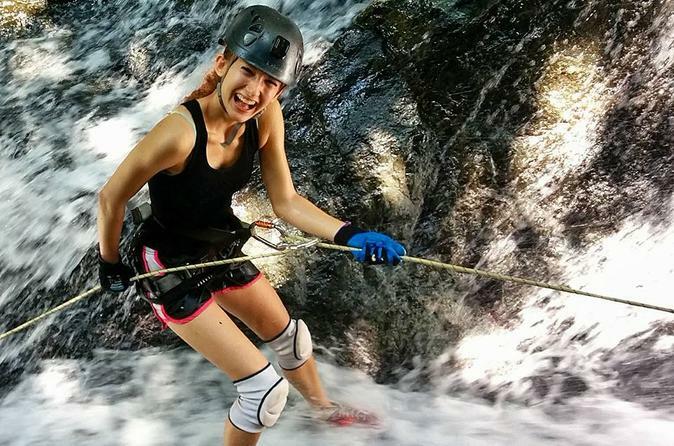 For the greatest thrills, you will be taught to use different rappelling techniques while lowering down vertical rocks, down twisting waterfalls and overhanging terrain. Empowering you to discover! Canyoning, also know as Canyoneering, Abseiling, Kloofing, or Waterfall Rappelling, is the most exciting new adventure sport to hit the US, Europe, Japan, South Africa and now Osa Peninsula! 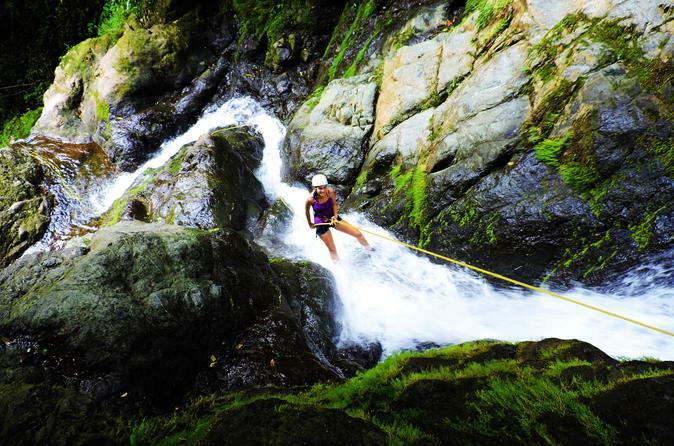 Canyoning in Costa Rica offers travelers the opportunity to explore some of Costa Rica’s most fantastic waterfalls. With canyoneering certified and bilingual guides on hand, you will rappel down several gushing falls— An experience that you will never forget! The awesome canyons are located just a short distance from the town of Golfito. Prepare to get wet and experience the thrill of a lifetime. Experience sights, sounds and smells of this fabulous hidden gem. Be prepared to have your feet wet and saunter the streamside trail looking for intriguing endemic frogs such as the Golfo Dulce poison dart frog and the pleasing poison frog. Head upstream from the bottom of the valley, where mountains are so close it makes you feel like you’re in a top-secret passageway. Walk between fish and shrimp to the first impressive waterfall, then scramble up couple sheer boulders to reach the second boisterous cascade. Climb rocks for some crazy jumping into a blueish pool. After cooling off in the water and resting for a little while contemplating the scenery, be ready to head back in the mysterious untamed forest and discover even more hidden treasures. 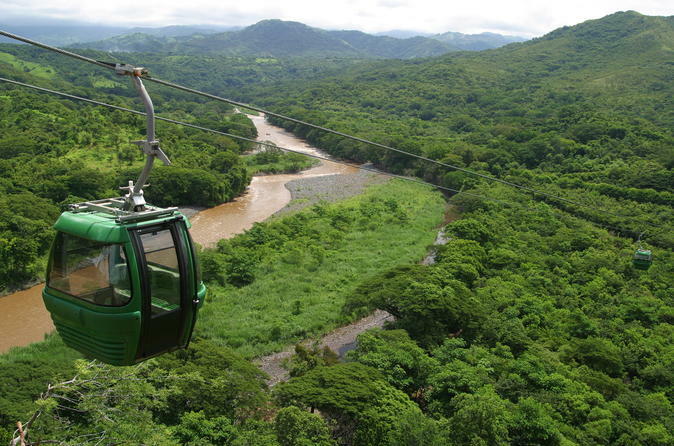 The Turubari Tropical Park is an eco-adventure oriented theme park with an aerial tram. It has a total extension of 650 acres in beautiful scenery, surrounded on the northeast by the Rio Grande de Tarcoles, to the southwest by the Turrubares hillsides and the Carara National Park and to the west by the Nicoya Gulf, which you can see from the highest elevation areas. The natural surroundings of the Turubari Tropical Park is the ideal place for visitors who are looking to learn more about Costa Rica's natural history, discovering our ancestor's life style, having an adventure experience or simply enjoy the beautiful landscape. 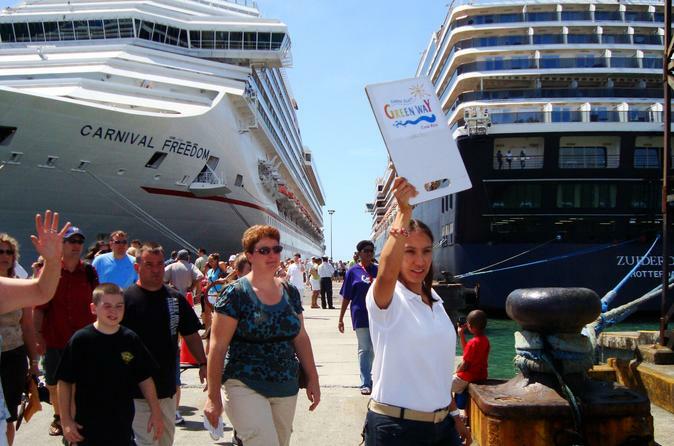 This tour is ideal for guests who want to see all of Puntarenas main attractions in one day. In this tour you will visit the rain forest and hanging bridges, visit Villa Santa Lucia, take a boat tour in Tarcoles River with its huge crocodiles, visit El Jardin Souvenirs store and restaurant, enjoy a Puntarenas City Tour, and visit Puntarenas' Countryside. 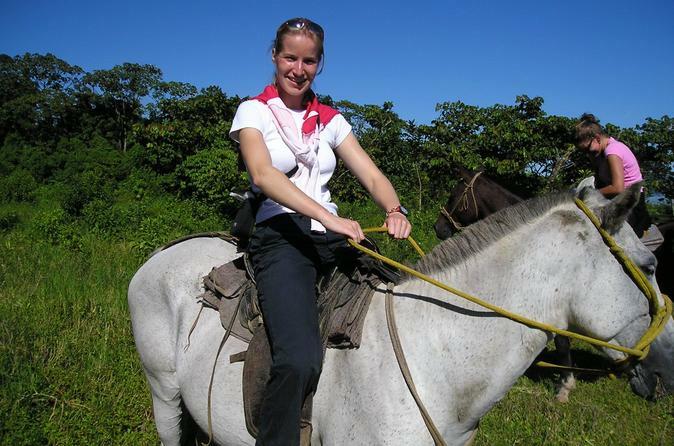 This horseback riding tour is perhaps one of the best ways to discover the wonders of the rainforest. Come and discover nature at its best in a private, exclusive 900-acre property, where you will also enjoy pristine rainforest and crystalline rivers. 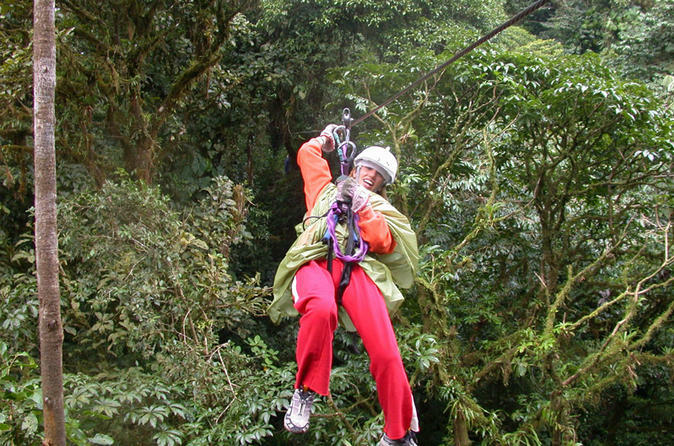 In this tour, you will zipline at Turubari Park which is a a great adventure park where you will enjoy beautiful views. This tour includes: 11 platforms, 2 hanging bridges and 8 cables with a total cable distance of 2 kilometer. After the zipline experience, enjoy a one way aerial tram ride with amazing views of the rain forest and Tarcoles river.